Welcome to Part 2 of my Selling On Etsy series! You may be here because you’re already a reader of my blog or maybe this is your first time here. If the former is true, you may want to skip the next few paragraphs (yawn, old news…). If the latter is true, let me introduce myself. (as of 03/2016) Hubby’s main shop, Metal and Tweed, has only been open since 2013 and has had 431 orders containing 448 items. His revenue so far is $11,554. Getting your items found. Wow. This was going to be one blog post, but I realized I can’t do that. There is too much information. There is information about your product, SEO, tags, titles, social media…Phew. I’m tired already. So we’re going to start with your items and presenting them in the best possible light. Pictures. And here’s the reason why. As you know, Etsy is also a handmade marketplace. That means everyday there are thousands of artists and people interested in art (in all its forms) all over Etsy. They like things to be pretty. They like eye candy. So to make your items stand out…or to catch a potential customer’s eye….I personally would abandon the item on the washing machine/bed/carpet approach (which may work on other platforms) and work on upping the photography game a bit. 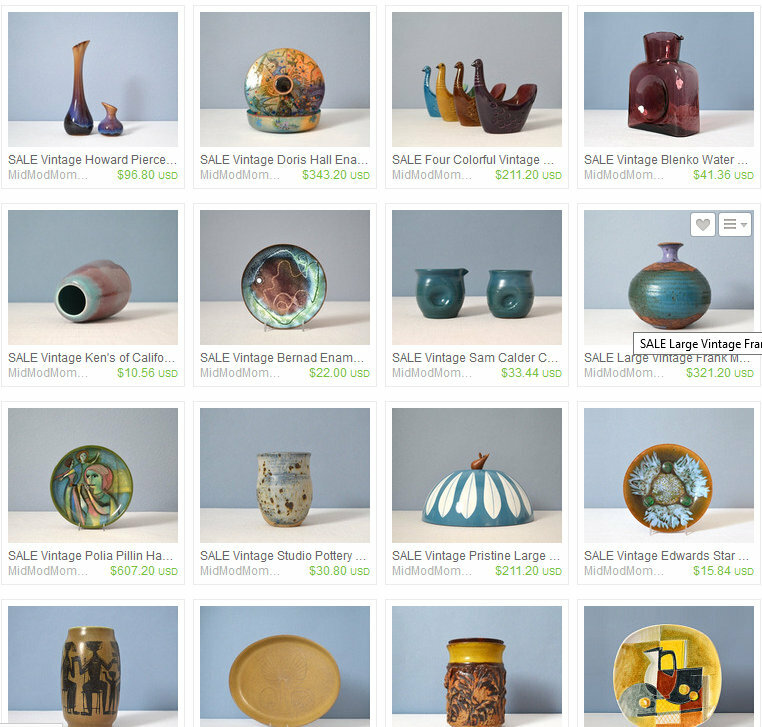 Spend some time browsing on Etsy and study some of the options sellers have chosen. See what catches your eye. Some sellers use an all white background. Others use a wooden or white table and a painted wall. 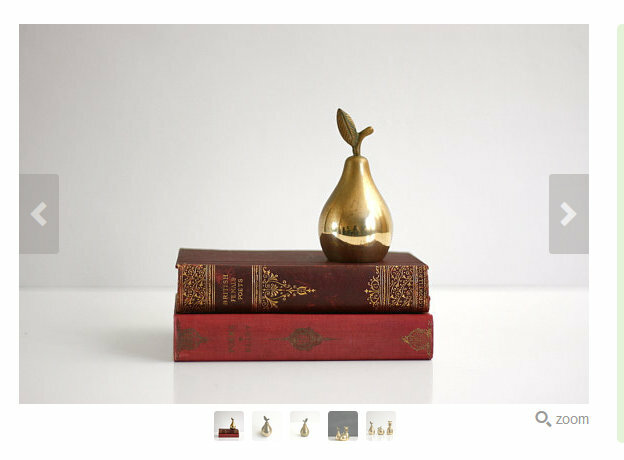 Lovely cohesive look (and drool-worthy objects!). Scroll through her store and see how she uses the “Rearrange Your Shop” feature to group colored items together. Talk about eye candy!! Some keep their photos very straightforward while others prefer to stage their items with other objects. My takeaway on this is this: Whatever you choose to do…do it consistently. It becomes part of your brand and your items can be instantly recognizable to your customers. I am constantly working on this. I have struggled with the “look” to my shop for years. Still working on it. So if you’re just starting out…what a great opportunity to be consistent right from the get go. Keep in mind you only get 5 photos per listing…so if you do get creative with the first one…make sure the other 4 showcase as much of the item as possible. The other factor about Etsy listing pictures (at least the thumbnails) is that they have a square-ish rectangle format that takes a bit of getting used to. I prefer for my whole item to fall within the square without any of it getting ‘chopped’ off. I’ve learned when I’m taking my pictures…to try to back up a little bit so there’s space around my item. Then I can crop for the correct shape as I’m listing. Etsy has a feature on the listing form where you can preview how the thumbnail will look, so that’s helpful. But no worries, when someone has actually opened your listing, they see the whole photo. I share all this, not to overwhelm you but to get you thinking. Etsy is its own marketplace. It’s got its own feel and atmosphere. I’ve read lots of stories of people who tried Etsy and didn’t get a sale so gave up. Did they just move items over from Ebay and let them sit? Did they spend any time getting to know the site and its feel? Did they look at other successful sellers and see how they approach their listings? If you need more help with Etsy photos…the Seller Handbook has many articles to go through. What do you think? If you are an Etsy seller, do you feel the photos are an important part of being successful? Don’t miss any future installments! Be sure to follow my blog! Love the examples you gave. I sell on both ebay and etsy and it's taken me a while (and still learning) to get better photos for etsy. It's always a work in progress! Sometimes it just comes down to having what people want too! This is a good post. I’m an experienced Etsy seller and you still had some good things for me to consider. Thanks! Oh wonderful! Thanks so much for commenting! I checked out your shop..and your photography is quite wonderful. I love that dark grey background. And that abalone ashtray pic is quite arresting! Next Next post: What to Do, What to Do? ?